In a recent update to its drilling productivity energy report, the Energy Information Agency revealed that there are now three US oil fields that are producing more than one million barrels of oil a day (BPD). In North Dakota, the Bakken Shale has been a major economic boon for the region while in Texas the Permian Basin and Eagle Ford Shale have both exceeded predictions. As oil and natural gas continues to expand in these regions, the need for cathodic protection systems to prevent corrosion grows. The three fields are so prolific that they now account for at least a third of the total US daily oil production. In fact, Mark Perry of the American Enterprise Institute found that the output of the three combined fields now surpasses 4 million BPD. Each of these regions has seen rapid growth that is nearly unprecedented in the United States. The Bakken oil production was less than 200,000 barrels per day in 2008 and is now producing around 1,100,000, an increase of 450% in just over five years. Meanwhile, in Texas, Eagle Ford’s natural gas production has tripled in the last three years and oil production has also flourished in recent years. 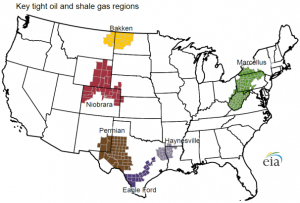 The region was producing less 100,000 BPD in 2010 to more than 1,400,000 BPD in 2014. Finally, wells that had been previously drilled in the Permian zones have found new life with the development of horizontal drilling techniques. Historically, wells had a 34 percent recovery rate, but that benchmark is being challenged with new technologies. MATCOR is a corrosion prevention firm that engineers, manufactures, installs, commissions and maintains a proven range of turnkey proprietary cathodic protection and AC mitigation systems worldwide for the oil & gas, power, water/wastewater and other infrastructures industries. Contact a MATCOR corrosion expert by completing our contact form or calling +1-215-348-2974. “Elite oil fields redefine meaning of crude’s ‘Big Three’,” CNBC, July 27, 2014. If Warren Buffet’s investment strategy is any indication, pipeline efficiency is going to start playing a bigger role in moving crude oil and natural gas in the United States. The Berkshire Hathaway luminary is spearheading a swap of about $1.4 billion in shares of Phillips 66 for full ownership of the energy company’s pipeline petroleum transport services business. The business unit’s focus is polymer-based additives that are used to move crude oil and natural gas through pipelines more efficiently by reducing drag. The shift in Berkshire’s investment strategy comes amid a boom in U.S. crude oil and natural gas production. 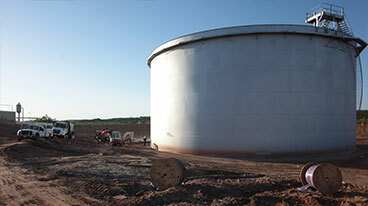 Since many liquids pipelines in the United States are operating at capacity, producers can use the pipeline petroleum transport additive to quickly increase capacity without immediately growing pipeline infrastructure. Although future pipeline projects may be in the works to meet the sharp increase in demand, the process of gaining approval for new pipeline projects can be slowed by permitting. A greater reliance on existing pipelines for transporting liquids means that producers and pipeline owners need to pay even more attention to cathodic protection management, according to Kevin Groll, project management director for MATCOR, a Pennsylvania-based company that specializes in cathodic protection products and services. “Berkshire Swaps $1.4 Billion in Phillips 66 Stock in Deal,” Bloomberg, December 31, 2013. Following our success in 2013, MATCOR is expanding by hiring new talent for cathodic protection, corrosion engineering jobs. MATCOR is a full service provider of customized cathodic protection systems to the oil & gas, power, water/wastewater and other infrastructures industries. Cathodic Protection is a technique used to control the corrosion of a metal surface by making it the cathode of an electrochemical cell. MATCOR has an array of proprietary cathodic protection products and systems combined with high-quality corrosion engineering services, and installation and maintenance services. In business for over 40 years, MATCOR is considered the technology leader in cathodic protection and corrosion engineering. MATCOR is headquartered in Chalfont, PA, has a major service operation in Houston, TX, provides turnkey services throughout the United States, and has a growing list of international distributors. MATCOR has been named to the Inc. 5,000 list of fastest growing companies in 2011, 2012 and 2013. Because of strong continued growth, MATCOR is seeking talented new team members to fill cathodic protection and corrosion engineering jobs. MATCOR employees and culture are driven by three core principles. Whether a technician, engineer or manager, these principles guide us toward positive relationships with our clients and positive outcomes to every project we undertake. These core values are: We Respect Others, We Honor our Commitments and We Act in a Safe and Responsible Way. Our ideal job candidates will possess these values and hold a positive attitude. This is a rapidly growing company with many new career opportunities. Your cathodic protection, corrosion engineering and management job opportunity is here, today! Production from the Marcellus Shale natural gas reserves is expected to exceed 13 billion cubic feet per day this December, nearly seven times the 2 billion cubic feet per day it produced during the same period in 2010, according to a recent report. The report on Marcellus Shale production data, by the U.S. Energy Information Administration, said the figure would equal about 18 percent of total U.S. natural gas production during the month. One of the Marcellus Shale companies that’s taking advantage of the natural gas boom is Cabot Oil & Gas Co., based in Houston, which claimed 15 of the 20 highest-producing natural-gas wells in the area during the first half of the year. According to Dan O. Dinges, Cabot’s chief executive officer, 10 wells from a single well pad in Auburn Township produced enough natural gas in 30 days to meet the average monthly demand of the entire city of Philadelphia. Cabot plans to increase its Marcellus Shale drill rigs from six to seven in 2013, with each rig capable of drilling 20 wells during the course of the year. The sharp rise in natural gas reserves production hints at the growing need for Marcellus Shale companies to incorporate pipeline corrosion control equipment like cathodic protection rectifiers into their gas delivery infrastructure, according to Chris Sheldon, who works as utilities practice lead for MATCOR, a Pennsylvania-based cathodic protection company. “A Marcellus Natural-Gas Bonanza,” The Philadelphia Inquirer, December 10, 2013. NACE International has begun an expansive global study that will examine the cathodic protection and corrosion costs across a variety of industries. The effort will provide research on controlling corrosion-related costs, which will help improve corrosion and cathodic protection strategies. NACE International, an international corrosion and corrosion engineering society based in Houston, Texas, has announced the launch of a two-year global cathodic protection and corrosion costs study that will examine the financial and societal effects of corrosion on a variety of industries and provide data about methods for controlling costs related to corrosion. Industries covered by the corrosion costs study include manufacturing, infrastructure, transportation, utilities and government. The study will integrate research from partners in international and regional industry and academia and will be managed by Elaine Bowman, a longtime corrosion industry advocate and former president of NACE International. The cathodic protection and corrosion costs study will help asset owners identity ways to save up to 30 percent on costs related to controlling corrosion, Bowman said. “The NACE corrosion costs study will likely provide invaluable data for us and our customers going forward,” said Ted Huck, who works as the practice lead for plants and facilities with MATCOR, a cathodic protection company that specializes in providing customized corrosion engineering and cathodic protection systems. An earlier corrosion costs study in 2001 estimated that the annual direct costs of corrosion in the U.S. was $276 billion. The study, funded by the U.S. Congress with Federal Highway Administration oversight and NACE International support, resulted in the development of a Corrosion Policy and Oversight (CPO) office within the Department of Defense. The CPO demonstrated a return as high as 40-to-1 on investments for corrosion control programs implemented by the Department of Defense. The 2001 study also resulted in congressional support for the world’s first undergraduate degree in corrosion engineering. 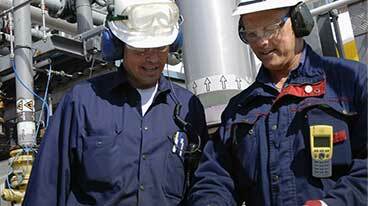 “NACE International Commences Global Study on Corrosion Costs and Preventative Strategies,” Press Release, Nov. 14, 2013. Brine Chemistry Solutions is beginning phase two of a project researching corrosion and scale prediction. The corrosion and cathodic protection study will examine prevention in extreme pressure and temperature environments that could make drilling operations in the Gulf of Mexico safer and more productive. Brine Chemistry Solutions, a Houston-based researcher of water chemistry issues in the energy industry, announced it has begun phase two of a research project that will evaluate corrosion and scale prediction and prevention at extreme pressure and temperature (xHP/HT). Phase one of the research involved conducting experiments with instrumentation capable of studying corrosion and scale formation at up to 24,000 psi and 250°C (482°F). Phase one produced methodology and data that will be used in phase two to further develop the company’s models. Phase two will include additional xHP/HT testing of corrosion and scale in additional alloy types and complex brine systems and will screen multiple inhibitors for thermal stability and effectiveness. Brine Chemistry Solutions will use an autoclave reactor, proprietary flow-through apparatus, and vertical scanning interferometry to focus on kinetics and behavior at xHP/HT while simultaneously studying the thermal stability of inhibitors. Modeling during phase two will also focus on solvent behavior in electrolytes that have specified chemical properties and will expand to include the quantification of kinetic factors during water-ion and ion-ion interactions. Modeling will incorporate the equation of state based on statistical associating fluids theory. “The corrosion and scale research being performed by Brine Chemistry Solutions is good for the Gulf of Mexico,” said Glenn Shreffler, executive vice president, engineering at MATCOR, a cathodic protection company that specializes in providing customized corrosion engineering and cathodic protection systems to oil and gas and other industries. The corrosion and scale research is part of a larger, $4.5 million project that was awarded to Brine Chemistry Solutions by the Research Partnership to Secure Energy for America. The Institute will support growth and quality of certification for the corrosion control field, improve the business conditions of the industry, and promote public safety, protect the environment and reduce the economic impact of corrosion. To comply with IRS rules for certification bodies in the U.S., NACE International has moved its world renowned certification programs to the new NACE International Institute. The Institute’s mission is to support growth and quality of certification for the corrosion control field, to improve the business conditions of the industry, and to promote public safety, protect the environment and reduce the economic impact of corrosion. The NACE International Institute was formed in 2012 to maintain NACE compliance with existing and recently changed U.S. tax laws for not-for-profit organizations that have certification programs. The development of the Institute will also lead NACE’s certification programs toward compliance with the ISO standard for certification bodies (ISO17204). From the start, the NACE International Institute will focus on meeting industry needs for workforce certification programs, pursuing global consistency of certification requirements, raising industry and public awareness of the purpose and benefits of certification programs, and supporting employment of certified corrosion control professionals. Over time, the Institute will continue to draw more activities into its operations to serve stakeholders based on changing industry needs. In mid-2013 NACE certification programs will move to the new NACE Institute website at http://www.naceinstitute.org and will maintain the same functionality currently available online at http://www.nace.org, including certification application and renewal, and a tool to search for certification holders worldwide. Jeffrey Didas – Matcor, Inc.
Dr. Oliver Moghissi – DNV Columbus, Inc.
On Tuesday, the University of Alaska-Anchorage held a grand opening for its new BP Asset Integrity and Corrosion Lab. The new facility, made possible by a $1 million gift from BP, expands the university’s mechanical engineering program. The lab’s birth comes as Alaska’s oil pipeline and the corrosion experts who know how to diagnose and manage it are both aging. It holds promise for both technological innovation and developing a home-grown workforce to keep pipelines in good working order for decades to come. “Having well-trained engineers on staff that are very familiar with the fundamentals of corrosion is a great step in the right direction,” said Matt Cullin, a mechanical engineer and assistant professor at UAA, who will serve as the lab’s director. The grand opening comes one day after BP’s court-ordered deadline to pay the state of Alaska $255 million for money the state lost in revenue when more than 5,000 barrels of crude oil spilled on the North Slope in 2006, forcing a pipeline shutdown. The company’s Alaska and national reputation has been tarnished by spills, ensuing lawsuits, and criminal charges – all evidence of greater scrutiny by federal regulatory agencies. Corrosion-weakened pipes caused the North Slope pipeline failure. The company also had to pay a $20 million criminal judgment and a separate $25 million civil judgment in connection with the spills. When the civil judgment was ordered in May 2011, it was the largest per barrel penalty levied by the Department of Justice to date. In the years since, BP has spent even more money on its Alaska operations at Prudhoe Bay, the nation’s largest oil field. Replacing the old system that leaked and caused the spills cost upwards of $500 million. The company has tripled the amount it spends each year on corrosion prevention and maintenance – up to $120 million in 2011. It’s renovated other lines and doubled its pipeline inspections to 160,000 per year, 110,000 of which specifically look for corrosion. “BP has spent the last several years systematically strengthening safety and risk management based on lessons learned from 2006. We have made significant improvements in safety and reliability on the North Slope,” said Dawn Patience, spokesperson for BP. The $1 million gift to UAA for an Alaska-based corrosion lab offers another investment in the long-term maintenance and management of Alaska’s pipelines. “This will dramatically increase the capability of integrity testing in Alaska — providing results in a timely manner (and) providing students with the opportunity of hands-on research and internships in multiple industries in Alaska – not just oil and gas,” Patience said. To keep the old car going, you could rebuild it each month to keep everything in working order. But that’s not financially viable. Pipeline management, as with the car, is about striking the right balance, Cullin said. The trans-Alaska pipeline and the pipelines of Prudhoe Bay that feed it have been in place more than three decades, moving the oil that for decades has largely paid for Alaska’s state government. 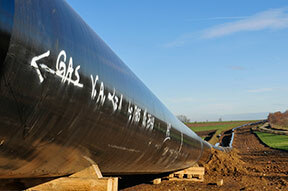 New pipeline-integrity engineers will continue to be in demand. In addition to oil and gas, corrosion experts are needed in the aviation, military, shipping, fisheries and water-wastewater industries. The crown jewel of Cullin’s program is a $250,000 scanning electron microscope capable of making tiny details visible to the human eye. It will be able to detect minute surface changes in sections of pipe, and also identify particles. “I kind of think of this as the corrosion crime lab for the state of Alaska. It’s kind of like CSI Sherlock Holmes style. We want to track down the root cause of the failure,” Cullin said. Answering those mysteries could determine if a corrosion problem was due to not enough inhibitor injected into the pipeline, or to a surface film that may have prevented the inhibitor from working, or if the pipeline’s main material was faulty from the start. The exciting part for Cullin is that it will give all levels of academics the opportunity to get involved – undergraduates, graduates and faculty. The idea is to create a lab where industry-funded research projects take place, and also where state and government entities turn for new information and ideas. Through a “corrosion track” – a series of two courses broken up by field experience over the summer – students in engineering and other relevant disciplines should be able to hit the ground running after graduation, Cullin said. Cullin expects the corrosion classes will have a lasting impact on his students, something he calls the “corrosion glasses” effect. Regardless of what discipline they enter, he’d like to see them always have an eye out for whether designs or other new ideas adequately account for corrosion control. “I absolutely feel that they will match up to anybody from any other school with their fundamental knowledge about corrosion,” he said. In addition to cultivating a home-grown work force, there’s another upside for industry: a quicker turnaround on failure analysis when something goes wrong. Instead of packing up parts and sending them to Houston, the material could head to UAA. “It’s really going to be an all-purpose facility,” Cullin said. His goal is for the lab to become self-sustainable within five years, paying for itself through private or government research projects and possibly renting out time on the new microscope, which other departments have already expressed interest in. The partial collapse of a shopping mall roof last weekend was likely the result of a combination of factors the most likely cause was corrosion of the reinforced concrete, said Mark Green, a Queen’s University engineering professor. On Saturday afternoon a section of the roof at the Algo Centre Mall (Kingston, Ontario) collapsed. A section of roof about 12 metres by 24 metres fell. The roof supported a parking lot and at least two vehicles fell into the mall when the roof came down. Because the roof served as a parking lot, corrosion could have been an even greater issue because of the salt used to clear the surface of ice during winter. Green said it was also possible that the design of the building may have included an aspect that made it more susceptible to collapse. Twenty-two people were injured in the collapse. Police also said at least 30 were missing. In 2010, mall owners Eastwood Malls Inc. spent about $1 million to repair leaks in the roof that had been ongoing for several years. But hints of a catastrophic collapse may have been easily overlooked, Green said. “The warning signs may not have been that obvious,” he said. In April 2010, a section of the parking garage at Confederation Place hotel in Kingston collapsed, damaging about 20 vehicles and closing the hotel for several days for repairs. That bridge collapse prompted inspections of other bridges in Quebec and Green said he expects buildings similar in age and design to the Algo Centre to undergo additional inspections in the coming weeks. On Monday a small piece of concrete fell off the Gardiner Expressway hitting a car below.